I received BA and ME degrees in English and Spanish from Delta State University. 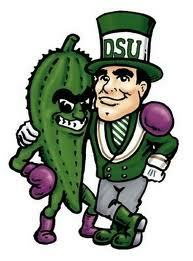 GO OKRA! This is my 29th year in the classroom and my 13th year at Hernando High School. My name is Señora Teresa Lara, and I teach Spanish II and English Comp I at HHS. This school year is my 29th year as a high school teacher and my 13th year at Hernando High. I am a 1990 graduate of Delta State University, and I completed my Masters degree in 1993 at DSU. In addition to teaching Spanish, I am the sponsor of the National Spanish Honor Society (Sociedad Honoraria Hispánica), the Spirit Club, and the Class of 2021. I am also a member of the AATSP (American Association of Teachers of Spanish and Portuguese), NCTE (National Council of Teachers of English), and MCWA (Mississippi Coaches' Wives Association). I work part-time at Northwest Mississippi Community College - Desoto Center as an English teacher. This is my 9th year at NWCC. 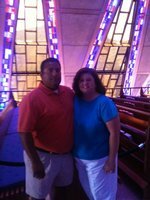 I am married to Coach David Lara who is Head Baseball Coach and serves as Athletic Director at HHS. We have three teenage children. My son Reese is a nursing student at Northwest Mississippi Community College. My daughter Riley Paige is a freshman at NWCC. My younger daughter is a sophomore at HHS. I enjoy reading in my spare time. We love to watch HHS sports. Our family's favorite activity is visiting with family or grilling on the patio. We attend Holy Spirit Catholic Church.